Unfortunately, many people tend to have bunions on pinky toe nowadays. But what exactly is a bunion? Simply put, a bunion is an abnormal growth of the bone on your foot that causes the joint of the big toe base to stick out or enlarge. While both men and women can suffer from bunions on pinky toe, women tend to be more prone. After all, the use of constricting shoes or high-heels shoes tend to contribute to the problem. But bunions shouldn’t be the only thing to concern about. 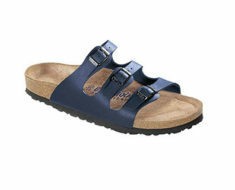 One of the things that you probably already experienced was your shoe rubbing against your bunion. Obviously, this is something that you should avoid. However, it’s not only because it will make your bunion get worse but mostly because it can lead to the formation of both calluses and corns. CallusRemoving.com: Everything you need to know about foot health. So, what causes bunions on pinky toe? the use of tight shoes and high-heel shoes because your toes tend to bent inward which ultimately puts too much pressure on your toe joints. a foot deformity at the time of birth. genetics since bunions can run in your family. a past injury that has led to the pushing of the big toe toward the other toes. poor walking posture such as foot pronation. neuromuscular conditions like the Marfan syndrome or cerebral palsy that can lead to low muscle tone and inflexible joints. gout or rheumatoid arthritis that can affect your feet joints, especially the big toe. a leg bigger than the other one. If this is your case, you may have a bigger tendency to develop a bunion on the big toe of your longer leg. How can you tell if you what you have is a bunion at all? One of the things that you need to know is that it isn’t very easy for the common individual to determine if he has a bunion or not. The truth is that you may have some pain on your foot but you just keep bearing it since you think it’s just a part of the natural structure of your foot. However, when you notice the pain, you should make sure that you notice any of the following symptoms. After all, the detection of the bunion (or callus on pinky toe) earlier can make the problem go away sooner and more effectively. you should experience some tenderness and pain in the big toe joint, especially when you’re exercising or simply walking. when it is hard for you to wear shoes because there is a change in the structure of your foot. when the base of your toe starts swelling. when you notice a bump at the base of the big toe, on the side of the foot. when you notice that you have calluses and corns forming over the bump. when you actually see a shift of the big toe toward your other toes. when you notice your toe isn’t as flexible as it used to be. make sure that you keep a healthy weight. 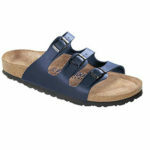 ensure that you only wear well-fitted shoes that have a wide toe area. 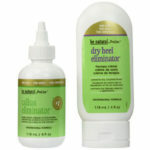 This makes sure that you aren’t putting too much pressure on your big toes. carefully check the shoes before you wear or buy them. Your shoes should include an arch support to prevent pronation when you’re exercising or walking, as well as they need to be supportive shoes. in case you bunions are a family matter, then you should definitely go to a podiatrist as soon as you can. This is the specialist who can help you slow down or even stop the development of bunions. While preventing bunions should always be the way to go the truth is that most people are only aware of bunions when they start to feel the pain. So, how to get rid of bunions on pinky toe? One of the main advantages of this toe sleeves is that they are made of a soft silicone gel lining (which doesn’t contain any allergens and is made only from natural rubber latex proteins) and an outer fabric. 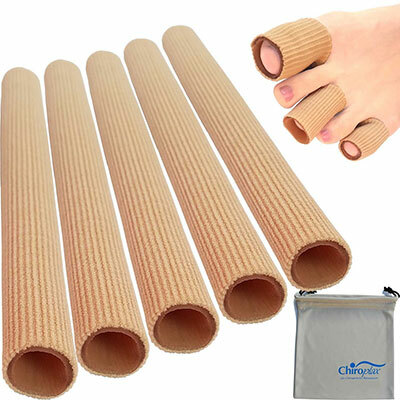 Coming in different sizes, the Chiroplax Gel Tube Sleeve will leave your toe not only hydrated as well as protected. Discover how you can get rid of bunions. One of the things that you may experience when you kee bearing with the pain on your foot is inflammation. The reality is that bunions tend to become inflames and the pain will increase dramatically. This is why we have already told you that it’s always better to prevent bunions and in case you experience any pain in your foot you should see what’s happening. Unfortunately, you can do this at another time. At the moment, the only thing you need is to have something that can provide some pain relief. So, nothing better than using ice. All that you need is one thin towel and 1/2 cup crushed ice. 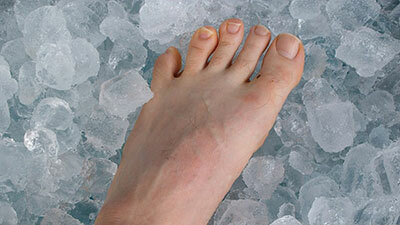 Just place the ice inside the towel and place it over your bunion for 5 to 10 minutes. Then, make sure that your foot rests for another 5 to 10 minutes. Just repeat the same process 2 or 3 times. One of the best things about ice therapy is that it really doesn’t have any disadvantages. So, whenever you experience pain or feel pressure, just use it. You can be sure that this will help you with your bunions and callus on pinky toe. You probably already heard that castor oil is good for many skin problems. However, it also tends to work quite well with bunions. After all, castor oil has analgesic and anti-inflammatory properties that can really help you. 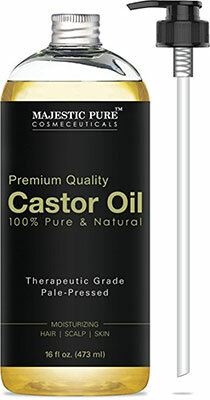 While there are many different castor oil brands, we believe one of the best is the Majestic Pure Castor Oil. All you need to do is to massage the bunion with warm castor oil to ease the pain almost immediately. However, if you want to take a step ahead (and you should really consider it), you can also make use of regular massages with this powerful oil. This will shrink your bunion considerably. In addition to the power it has over bunion, castor oil is also great hydrating your skin, even it may be very dry. So, the Majestic Pure Castor Oil will not only help you with your bunions as well as it will also ensure that your foot will look wonderful. If there is something that you can do not only to help ease the pain of the bunions as well as to prevent them from appearing is exercising your foot. While this may seem strange, the truth is that it works. Besides, you can do it all the time and you will even feel more relaxed when you’re done. Toe Stretching: Just grab an elastic band that is thick and put it around your big toes. Then, turn your feet outward up to you feel the stretch on your toes. Toe Flexing: Just arch the balls of your feet upwards and press your toes against some hard surface. Then, do this in the opposite direction. Ball Rolling: Just grab a golf or a tennis ball and place it beneath your foot, sitting on a chair. Simply roll the ball back and forth. Discover other methods to help you with bunions on the pinky toe. We all understand that some herbs and plants can help us improve our health. In case you don’t know, chamomile is a great addition to the way you handle your bunions. The reality is that the chamomile flowers feature soothing anti-inflammatory properties that can help you with the pain as well as they will also sooth red skin. All you need to do s to use 3 tablespoons of chamomile flowers, 1 cup of water, and 1 towel. Just boil the water and add the chamomile flowers in there. Let simmer for a couple of minutes and let them cool for a bit. Withe the water still warm, soak the towel with this infusion and apply it to your pinky toe.